As residential interior designers on this project, we aimed at creating an oasis of calm in the middle of a bustling city. We used a minimalist theme with a neutral palette to achieve this end. The soft neutrals convey a feeling of vastness and peace, with crisp detailing for an element of interest. The dining area has a series of plated metal squares layered at different levels, with a wire sculpted horse on the wall. 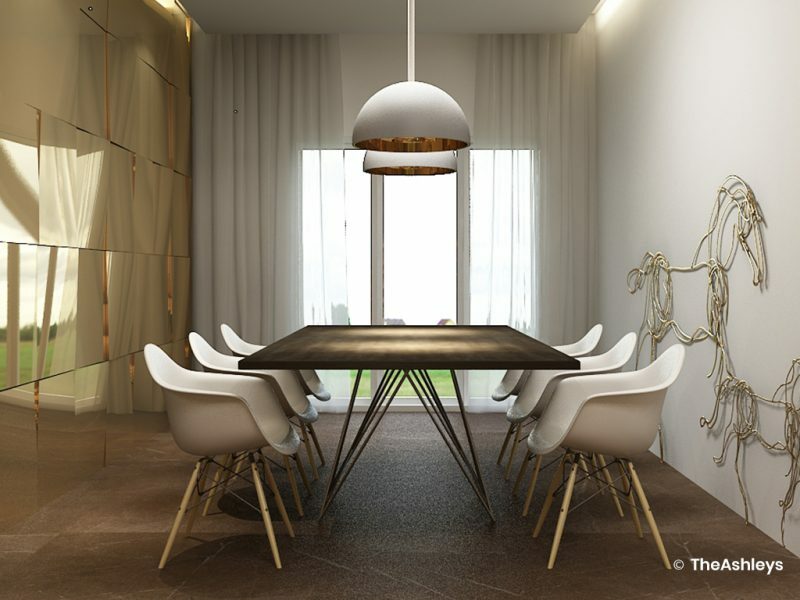 The customized suspended brass lights and graphic tables in the living room add a unique sense of style, receiving a harmonizing foil in the warm tone wall. 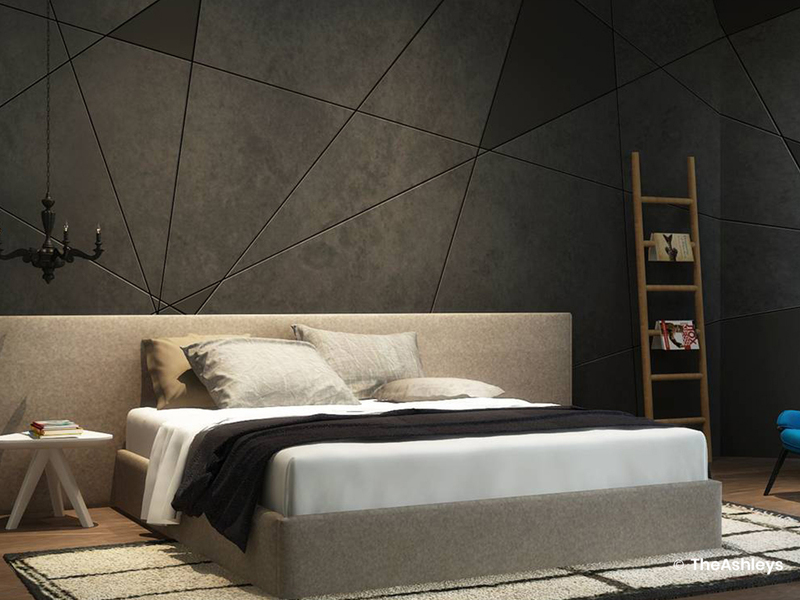 The master bedroom, in soothing grey stone colours, is restful yet interesting. It is styled with a wooden ladder doubling as a linen rack or magazine holder, with a Gothic chandelier to add flair. 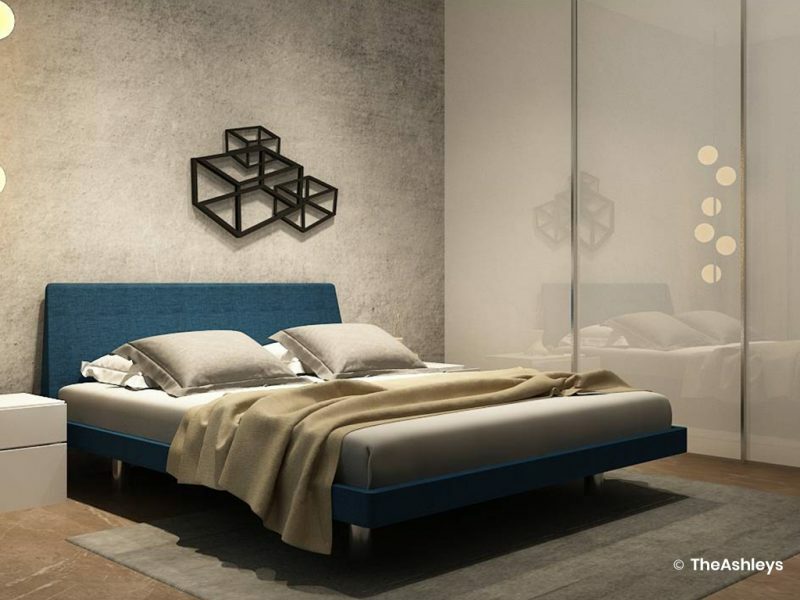 The simple juxtaposition of triangular planes sets up an art expression behind the bed. 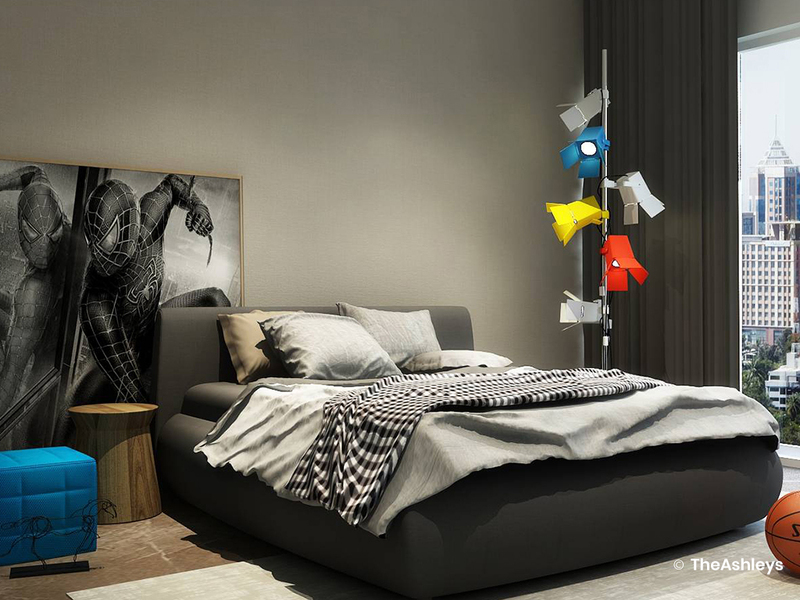 The other bedrooms receive a more fusion style, with custom geometric wallpaper, oversized pop art posters, an elegant white Chesterfield detail bed, a striking red carpet, and a scattering of statement lights. 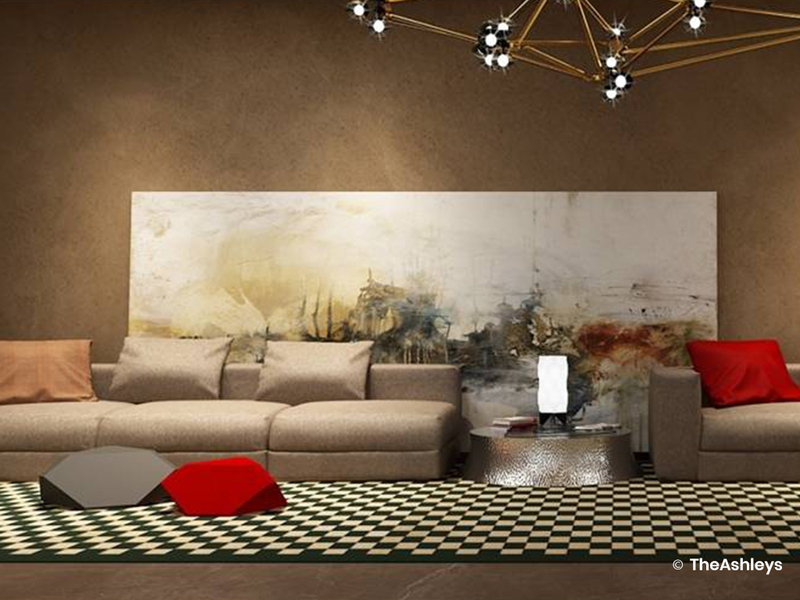 All these diverse elements are tied together with the same marble palette for a sense of seamlessness.